A larger version of our popular Fire Truck Themed Slide. 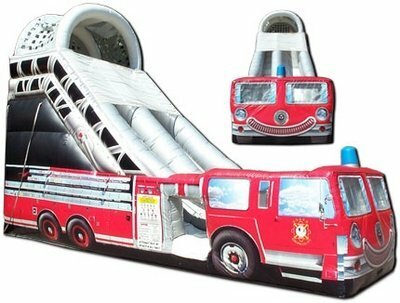 Heat things up at your next event with Jump and Slide Atlanta's incredible and realistic Fire Truck Slide! It has a 22' High single lane slide that all the kids will absolutely enjoy. Watch them as they have a blast playing out the childhood dream of being a firefighter hero, whooshing down to save the day! Tons of fun for all ages. Let us help you make this a party your kids will never forget.